Constance - TOTALLY INTO IT! People that have managed to create successful careers within fields that they are actually really passionate about inspire me. Also, people that can look back on their lives and say ‘yes, I’m glad I ticked that box’, even if the result is an absolute disaster – it’s the journey that counts, right?! 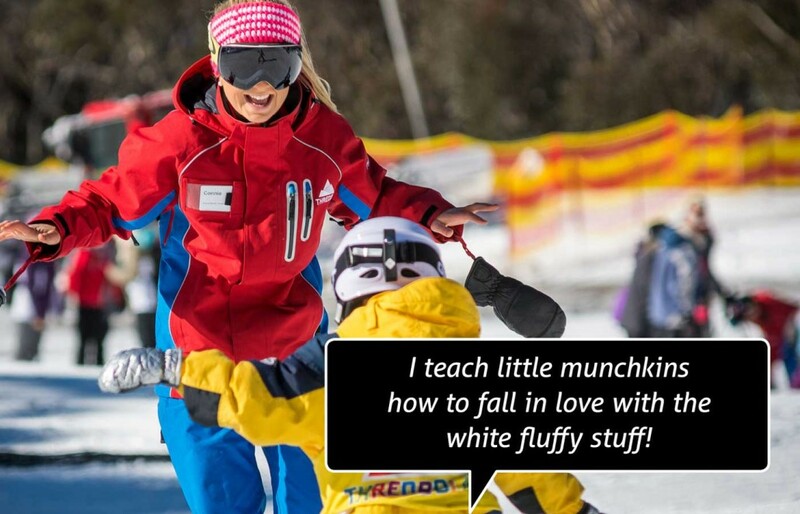 Teaching little munchkins how to fall in love with the white fluffy stuff! How did you get your start working in Thredbo? I decided to defer my first year of university and my parents suggested to do Thredbo since it would be earning money whilst doing something I had enjoyed doing whilst on holidays. Thredbo has developed into my home, it sounds really cliché, but I actually get full body Goosebumps when I return back for the season. It’s where I have met my now best friends and where we can meet up from all over the world and share the love of skiing altogether. 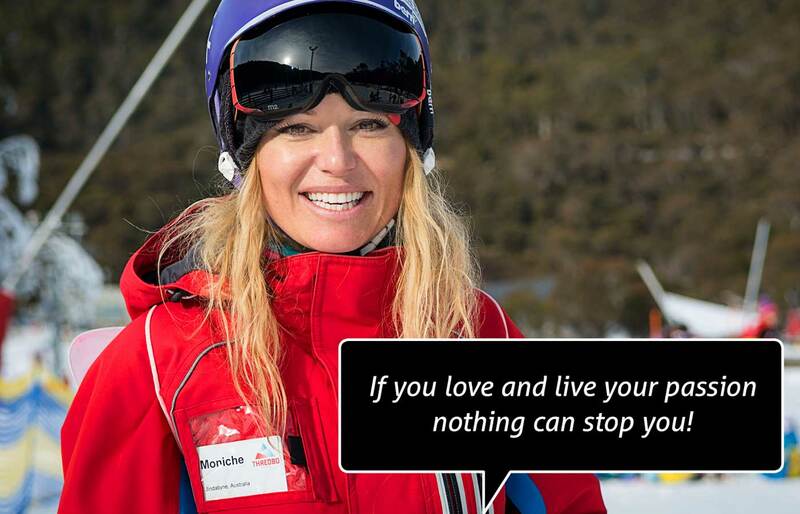 Sharing my love of skiing and Thredbo in general with people that are a little bit nervous about the whole skiing experience and also with people that are sceptical of skiing standards in Australia. I love to show them how amazing it can actually be, and how happy they are at the end of a good day skiing puts a smile on my face! During your time at Thredbo, what has been your proudest moment? Seeing a girl that I taught to ski in my first season when she was 3, I saw her last year (when she was 8) skiing gates like an ABSOLUTE LEGEND. It made me proud that I had been one of the first people to influence her life in the skiing world. Having completed five ski seasons in Thredbo in conjunction to studying a double degree at Uni has probably been my greatest professional achievement! To become a part of the marketing management team within a ski resort. This has been my goal because I believe that intertwining a career with your passion equates to a happy work / life balance and that happiness is displayed in consistently outstanding products and attitudes at work. Screaming children, code brown, trying to distinguish three different children apart from each other whilst they are all wearing identical Aldi outfits…. 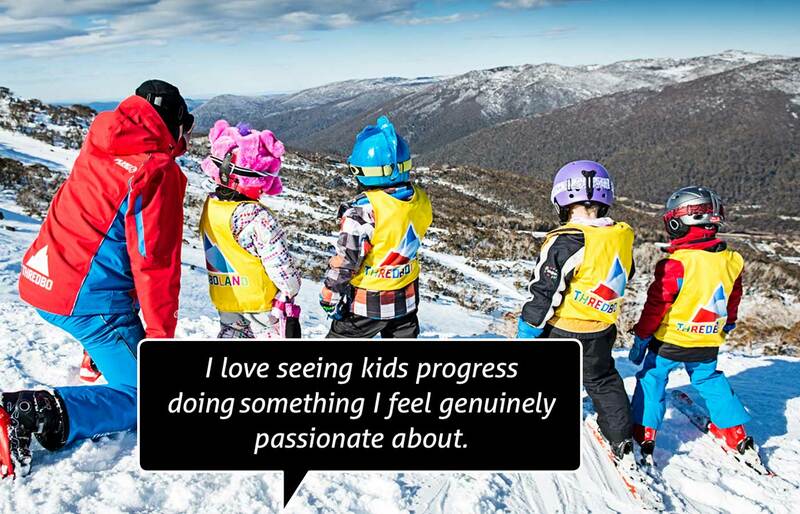 What message do you have to tell others about working in Thredbo? It will actually change your life in the best way imaginable. Have you met anyone famous during your career in Thredbo? I’ve met Tora Bright and Lara Bingle at a few après evenings. Jon Olsson (pro skier from Sweden) stayed on our couch for a few nights, which was pretty cool! Bad Pay – There is actually SO much money to be made and I kind of feel that when I get to instruct everyday that I should probably be paying to do it, it’s the best job in the world, you never stop laughing. Don’t forget your rain poncho’s – I’m not kidding.